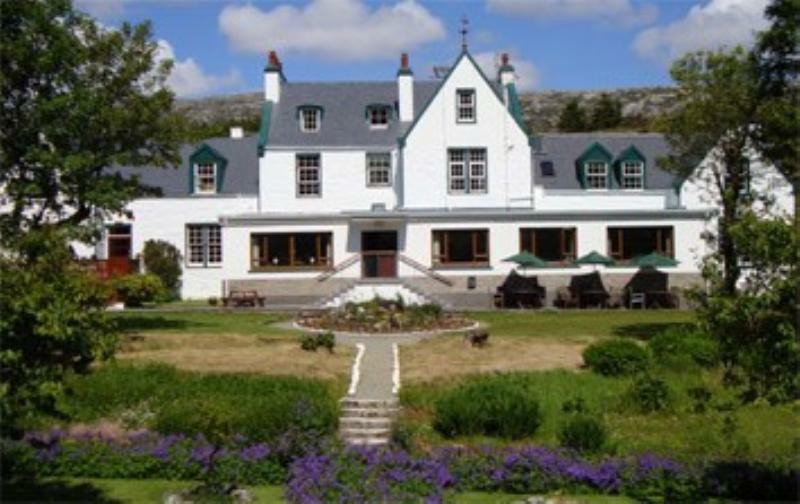 Situated between West and East Loch Tarbert, just 500 yards from the ferry terminal, this family-run hotel makes the perfect basecamp if you are planning to explore 'Na Hearadh' ('The High Island'). The kitchen is loyal to Scottish produce when it comes to dishes like hot-smoked Uist salmon on dressed leaves with grape and dill crème fraîche, sirloin steak topped with Stornoway black pudding or roast rack of Harris lamb with a Dijon mustard crust. It also brings a touch of exoticism to the Western Isles in the shape of suprême of Barbary duckling on a rösti with redcurrant sauce or poached baby pineapple with passion fruit sorbet and black pepper caramel. However, there are no fireworks when it comes to warm treacle tart with clotted cream or fresh fruit salad in a brandy basket.